Create a complete mobile marketing strategy for your small business for less than the price of a newspaper ad. We allow you to preview your apps as you build them online or from your Android device. OGIAppBuilder allows you to create native apps for Android, as well as mobile websites. OGIAppBuilder is more affordable than a newspaper ad and shows a huge return on investment for businesses. 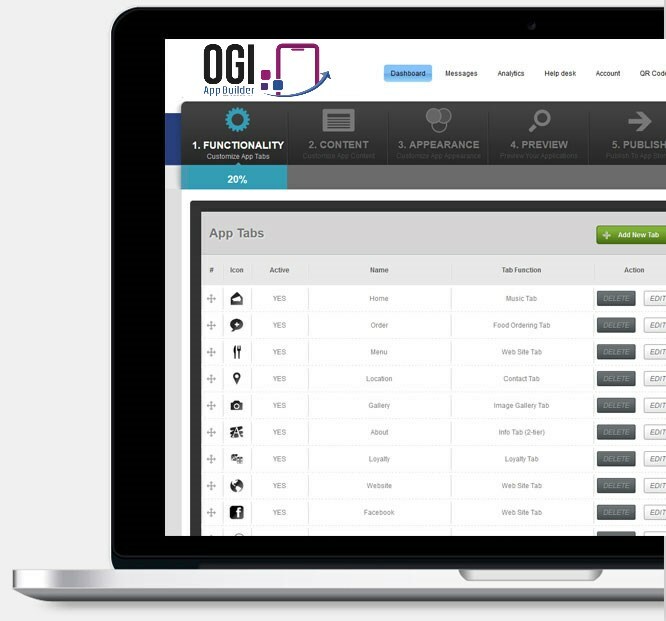 OGIAppBuilder is making mobile apps affordable and simple for small businesses. We're a do-it-yourself Android & HTML5 app platform that allows any small business to simultaneously create, edit, and manage mobile apps and mobile websites online without any programming knowledge needed.